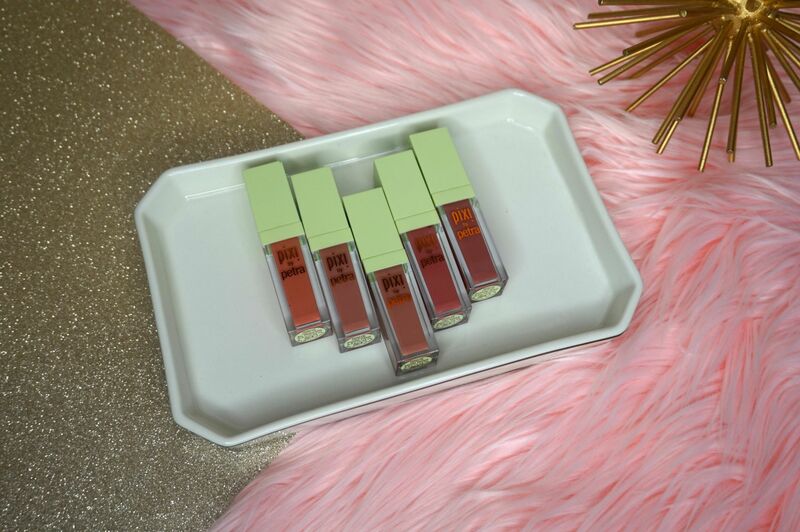 Looking for an affordable, long lasting liquid lipstick? 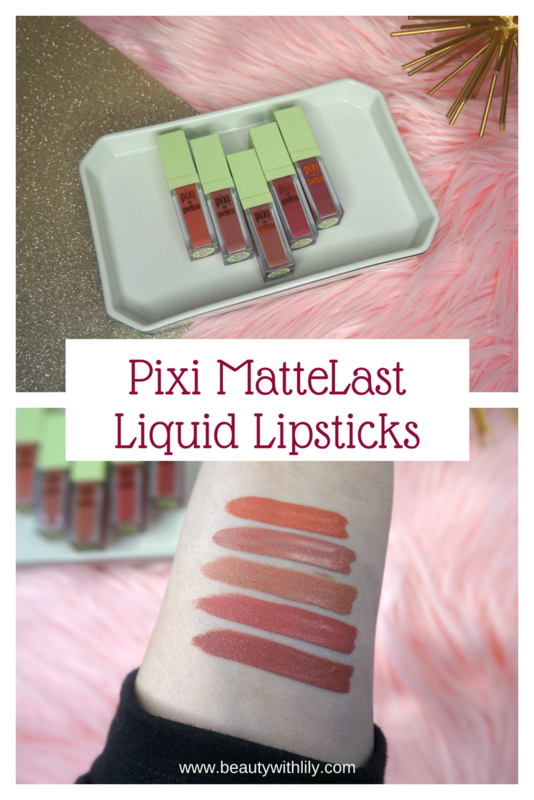 The new Pixi Beauty MatteLast Liquid Lip are phenomenal! I’m sharing swatches, along with a mini-review. Hi friends! 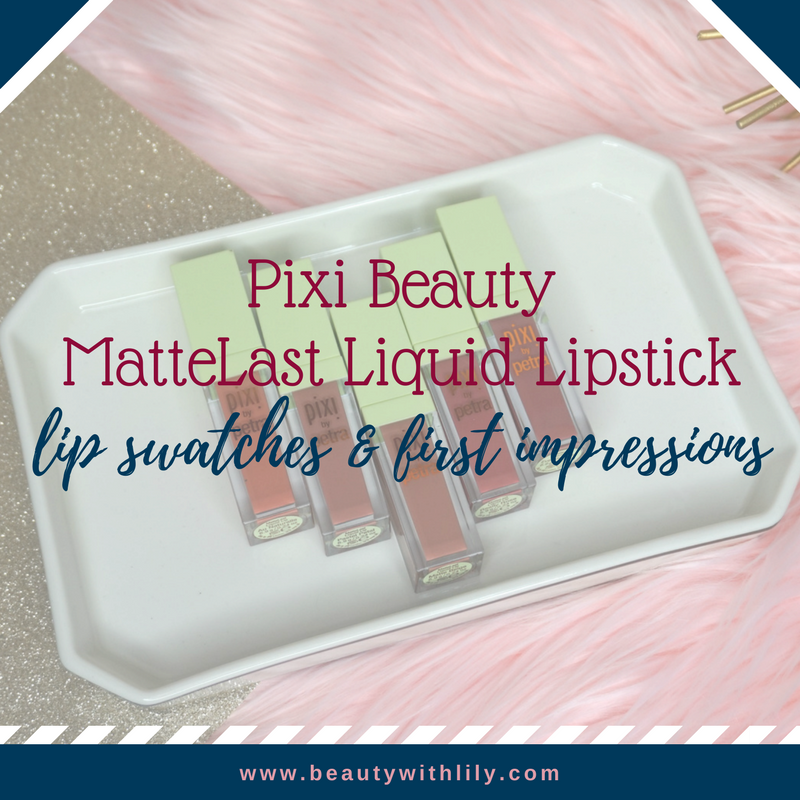 It’s been awhile since I shared a review, so today on BWL, I’m sharing a quick review of the new Pixi Beauty MatteLast Liquid Lip lipsticks. I also have a quick video below, if you’d like to see the lip swatches. 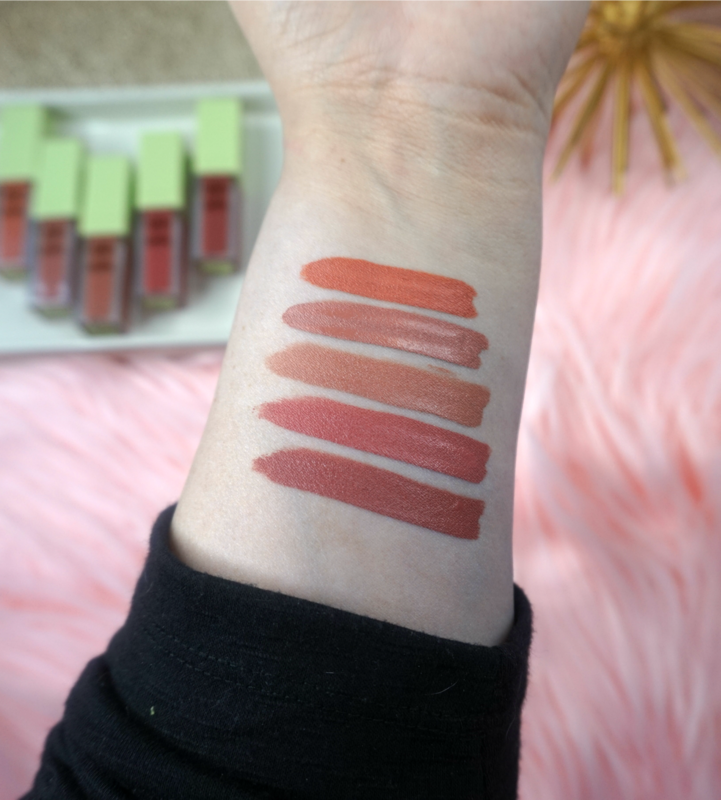 These liquid lipsticks remind me a lot of some of my favorite high-end liquid lipsticks, the Smashbox Always On Matte Lipstick, they are so similar — the packaging, the applicator and even the formula. I wore the darkest shade of the bunch and it did not budge all day, it wore for a good 5 hours, with eating and drinking. I didn’t find my lips to feel super dry and the formula also did not accentuate my lip lines. I find that the Smashbox lipsticks last longer, but if you are looking for something a bit more affordable, these are a great option. So what do you think of these? Aren’t they beautiful colors! I hope they come out with more because I’m really liking them so far, definitely recommend them. Have you tried these liquid lipsticks? What color do you like best? Pin the image below for future reference! "Valentine’s Day Gift Ideas For Your Friends"